Back from a long break, again. So, it’s been four plus months since my last post. I admit I get bored posting about the food I cook and feel a bit overwhelmed by the process when there are so many food blogs out there that are so much more interesting than mine. Also, we are remodeling our entire home and my kitchen has been half way disassembled with the bulk of my cooking tools packed away which makes cooking difficult and not too inspired. 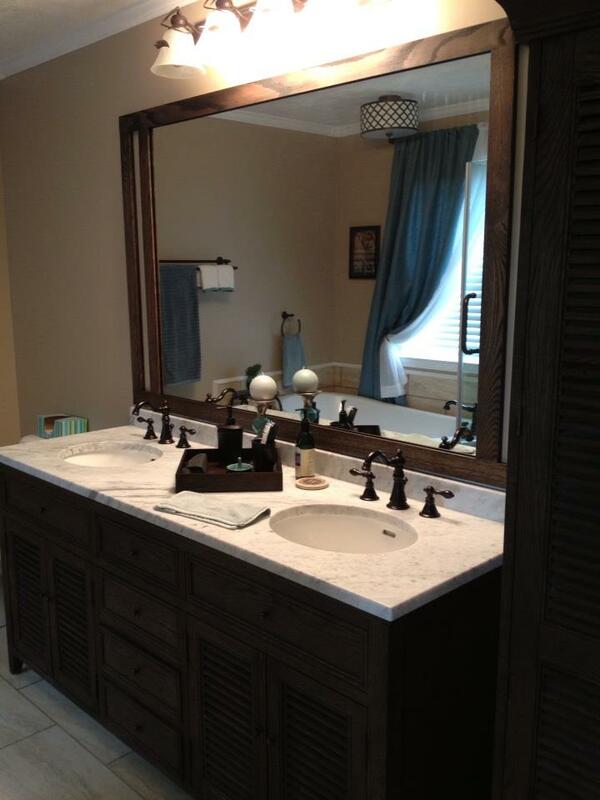 We have remodeled our master bath and bedroom. I am so blessed to be in a position to do all that we have. I look at our new rooms and just swell with amazement that I live in such a lovely home. It took us four long months to remodel these two rooms. I thought we’d never get it done and honestly there have been only one or two times I’ve wanted to hit my husband with a hammer. Seriously! 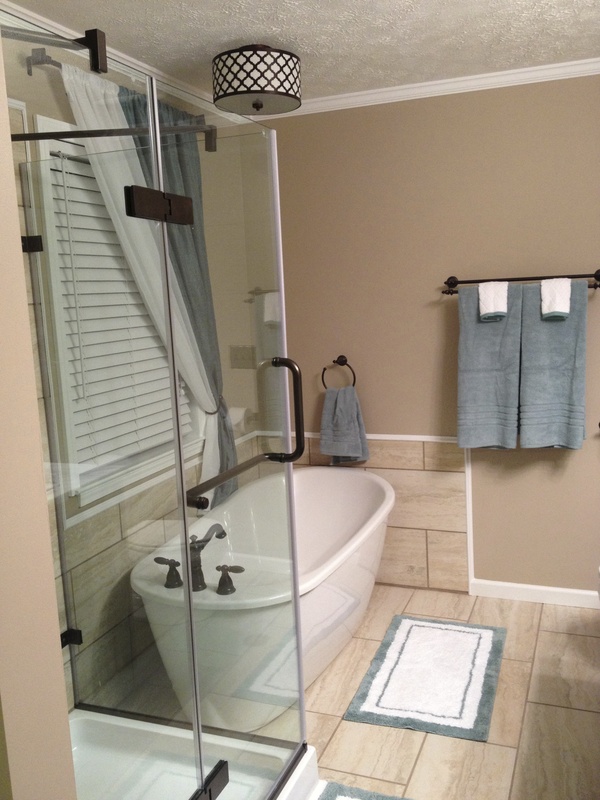 We added a frameless glass shower and a freestanding tub. I can’t believe we have a vanity and armoire from Restoration Hardware. It’s simply gorgeous! My brilliant husband built a frame for the mirror to match our vanity/armoire. There are definitely perks to marrying a mechanical engineer. He can build anything. 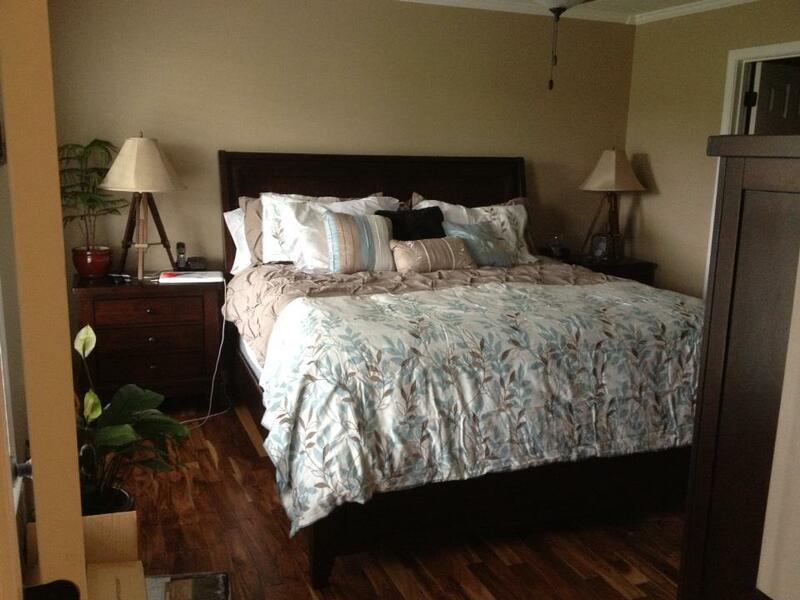 He installed the tile floors and the engineered hardwood floors. His back is killing him but our home is going to be beautiful when it’s all said in done. I am in charge of the walls. I do the drywall mudding, the painting and the trim work. I managed to talk him into painting the walls an actual color. It’s called Mousse Moose. It’s light brown or latte colored. It’s neutral and hopefully will make the house sellable. We also finally got our king size bed set up and I am actually able to sleep for more than two hours uninterrupted. It’s amazing! I still have to pee two or three times every night but I can actually go back to sleep now as opposed to lying awake trying to create a space in the bed for myself. We’re working on the living room now. This weekend we will finish laying the hardwood floors, put up the crown molding, trim the windows and put the baseboards back in place. Yippee! I have new living room furniture that should finish being delivered in a few weeks. I’ve never had anything but hand-me-down furniture before. It was really nice to go to a store and pick out a new sofa and chairs. As soon as we’re finished I’ll upload pictures of it. In the meantime … I fight the Robin’s. By which I mean they keep trying to build a nest on our porch light which is next to our front door. I take it down and five minutes late she’s back with the grass, twigs, paper and mud to put it back. Tomorrow I’ll get a rubber snake and see if that will deter her. 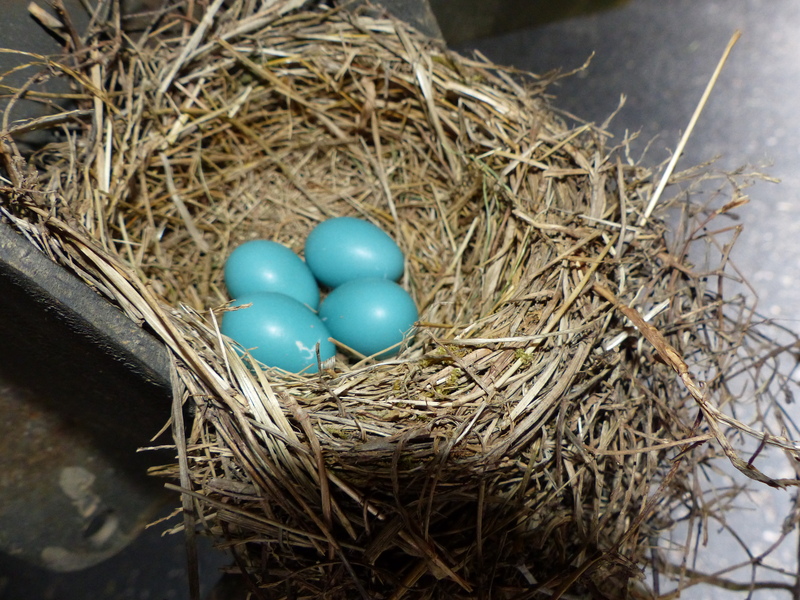 The Robin’s have also built a nest in the wheel base of our Ford F150. I keep telling D we can go without driving the truck for a couple months, right? Silly birds.